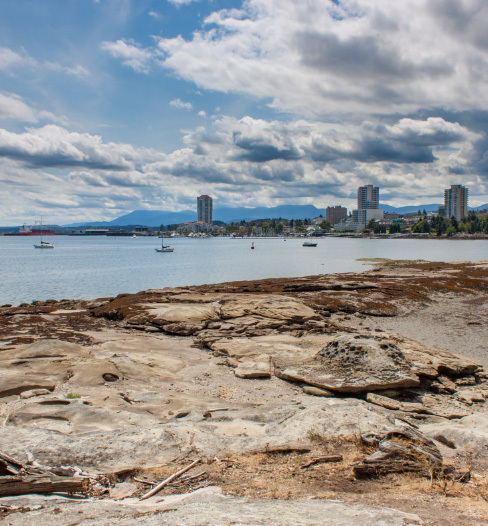 Nanaimo’s features of affordable living, renown natural environment and access to key clientele, has assisted CRM (Coastal Resource Mapping Ltd.) in attracting key personnel and in growth as a business. Current clientele include several Provincial Ministries and the Federal Department of Fisheries and Oceans, who both have local offices. CRM currently has 8 employees and is a leader in GIS and Geospatial Intelligence, specializing in the environmental and non/renewable resources sector since its incorporation in 1998. Their strength is in their diversity, having experienced GIS technicians, analysts and programmers as well as a dedicated database administrator. Their collective project experience makes them versatile and equipped to handle requests of any size and scope. The team at CRM provides extraordinary service by combining a multi-disciplinary approach with the unlimited potential of GIS technology. Over the last decade CRM has successfully delivered numerous natural resources and environment related GIS projects. Projects range from private industries to the partnerships with non-profit, Provincial and Federal Departments. Their services to government entities include simple mapping exercises to complex spatial / statistical analyses and reporting. They make the data and its analytics available wherever in the world the client resides. CRM also specializes in the planning, implementing and managing of corporate Information System architectures. Spatially intelligent applications stem from our experience in the extensive suite of analytical products. From web mapping to mobile applications, CRM provides modern platforms to allow their clients to interact with data, with the goal of making communication and data sharing user-friendly and environmentally sound.